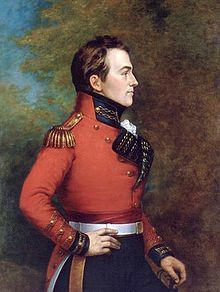 The Isaac Brock Society | Good for you, Boris Johnson, Mayor of London — for adding to the number who have or will renounce their US citizenship, *accidental* or otherwise! Good for you, Boris Johnson, Mayor of London — for adding to the number who have or will renounce their US citizenship, *accidental* or otherwise! We appreciate that someone of your stature will have the media grab your story and write about the absurd (resident for taxation purposes) consequences for anyone who was born an *Accidental American* or anyone who made a choice to move outside the USA for work, for adventure, for falling in love with another country and someone from there, deciding to remain to raise their family and give their allegiance and tax dollars for services and benefits. Thank you for letting the world know the absurdity of the consequences of US Citizenship-Based Taxation law as *US Persons* are game in countries that practice Residence-Based Taxation law, we who have some US-definition of *US Person* or citizenship, as our countries have signed intergovernmental agreements (IGAs) with the US that allow US FATCA law to override our own countries’ laws. Perhaps will be mentioned the others who will also be affected, including those who are considering becoming permanent residents of the land of the free, those seeking US green cards, so they will make their decisions with full knowledge of both pro’s and consequences of US CBT. Good luck to you as we read of your way to freedom as your “commitment is, and always has been, to Britain”. “Accident of birth” says it all! Great job Mr. Johnson! The message the USA is sending in it’s latest proposal is simple. If you don’t want to pay us through extortion,we will help you leave. All the USA needs to do now is remove the 2350US phoney fee to dump the clinging, forced citizenship and the flood gates will open! Should have done it and stuck the middle-finger up to the United States. Tell the American leeches in the future if they want to talk to you, come to the UK for talks. It is regrettable that no one with money, or power, takes on the IRS including CBT, FBAR penalties and FATCA bank disclosures to the courts and challenges these laws/rules. Tina Turner paid her exit tax and said goodbye, as did Boris and many others…paid and said good riddance. You might want to add this link to a recent Economist article to your post. There are some fine comments by NervousInvestor (guest-owimjil), NorthernShrike (guest-owimiij), BC_Doc and FromPatriotToExpatriate there. Thanks, EmBee. I’ll add that BJ link to this post. Too bad Boris Johnson and others affected re the sale of their principle residence where they live outside the US didn’t have any notice or warning. @Badger, if Canadians tainted by US citizenship had to pay capital gains on their principle residences to the USA it would be a massive export of Canada’s wealth to the USA. Between metro Toronto, Calgary and Vancouver (the cities with the greatest house appreciation) there are about 9.2M people, so 250K Canadians (1 in 35) with the taint and if 70% own a house and each plays $50K extortion fee to the uncle, it comes out to $9 trillion shipped down south (figures on population and ownership are precise but the $50K extortion is a guess; also this assumes everybody sells tomorrow). This seems kind of large and if the actual proportion of ownership is more like 10% (only one member of the household), then certainly at least one trillion dollars will go from the Canadian economy to the US economy over the longer term due to the US capital gains tax on Canadian housing. You bet your precious pelt that had I known about my tax filing obligations to the US prior to making the decision to sell my home in Canada, I would have found any legal means possible to not pay them one red cent! @kermitzii, you’re right about the transfer of wealth from Canada to the US that US extraterritorial tax on the sale of the Canadian principle residence of those deemed “UStaxableserfsforever”. We know that for many families, the principle residence is their nest egg for retirement, and their largest asset. I curse the Canadian politicians of both the Liberal and Conservative political parties who let the Canada US tax treaty be riddled with – and remain riddled with loopholes and terms that facilitate the transfer of Canadian assets to the US Treasury. And the Conservatives who are at the helm should pay for not speaking out about this travesty. What is more sacred than our principle residence? And our child’s RESPs and our TFSAs, and our RDSPs? And as you say @bubblebustin, if the US asset grab on the sale of Canadian (and other non-US family homes around the world) had been publicized properly, then people would have been forewarned of that huge pitfall. And where is our Prime Minister and his merry Con. men on this issue, who are supposed to have a duty of care to their fellow Canadians, and to repel foreign incursions and threats to our wellbeing in Canada? Nowhere to be seen. And under the FATCA IGA, when an asset as large as a family home is sold, and the funds hit the family accounts, Harper and his band are happy to point them out to the US Treasury so they know where to look. Is this some sort of late April Fool’s joke? Who could fill Boris Johnson’s shoes as the mayor of London? Perhaps somebody who successfully did the job in the Big Apple. The Tories are considering drafting in Michael Bloomberg, the former mayor of New York, as their candidate for London mayor in 2016, as we report today. This is one of those ideas that, at first blush, seems to be off the wall. For a start, Mr Bloomberg does not even have British citizenship. On closer inspection, however, the idea has much to commend it. Mr Bloomberg is an Anglophile. He has spoken at Tory conferences. His former wife is British and both his daughters are British citizens.